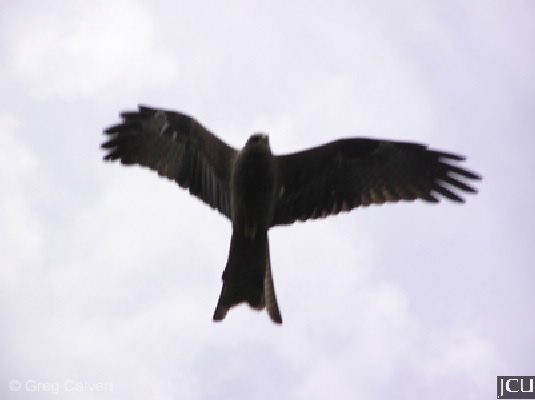 This black kite can occasionally be seen soaring above the campus, it can be distinguished by the forked tail and the wings which are flat when in flight. Body is dark brown, wings, head and underparts are paler. Legs and feet yellow, eyes with a dark brown iris, bill blackish.